"Here's the next instalment of #Peel21st Blog Hop. We thought we would continue to connect to the Ministry's 21st Century Competencies document and this time pair it with the Global Day of Design. So today was a challenge, design something, share it, and reflect here. Be sure to hop on over to the other blogs after and see what other #peel21st tweeps designed!" So no big deal. Just design something. Think about a need in this world and create a 'thing' that will fill that need. You have every resource at your disposal, you just have to design it. I grabbed a coffee, broke out my stylus & iPad, and opened up Paper 53. I was keen on the Global Day of Design, and thought it was such a great idea. Super stoked, and ready to design. Something. Anything. Just a little thing. I tried brainstorming and jotting down ideas for my creation. I thought I was going to sketch out a new car, revolutionary bike, new city streets (I was sitting at a Starbucks looking out a window - my inspiration was what I saw through that window). I then thought of what I know best - design a new classroom, a cover for a phone, a coffee mug, or a toy. Nothing came to me though. I kept telling myself it's already been done. Design is really freaking hard. This is the process of design though. We ask students to design something new all the time - new reports, videos, products even; but do we take the time to really think of how difficult this is. Design thinking is hard, it takes time; and it takes a lot of collaboration, to bounce ideas off of one another. I've come to realize, nothing is really 'new'; we just innovate a little on a lot of previous things, and we need to encourage this. We need to look at the world around us for inspiration, but acknowledge inspiration may not come right away. Give it time, let ideas percolate, swim around in that brain, and try, fail, and try again. It's all okay, and it doesn't have to be something that's going to change the world. It may only change your life for a moment, but you created something in that moment. And that is something. 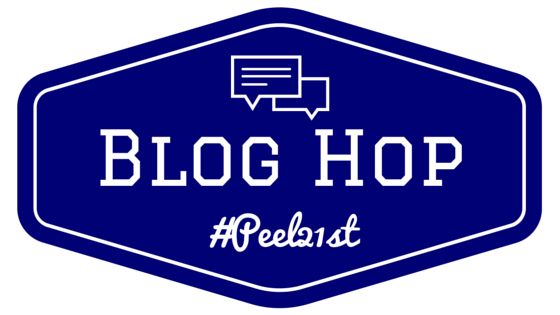 Be sure to check out the other #Peel21st bloggers and their thoughts, reflections, and moments of collaboration! And connect with them on Twitter!